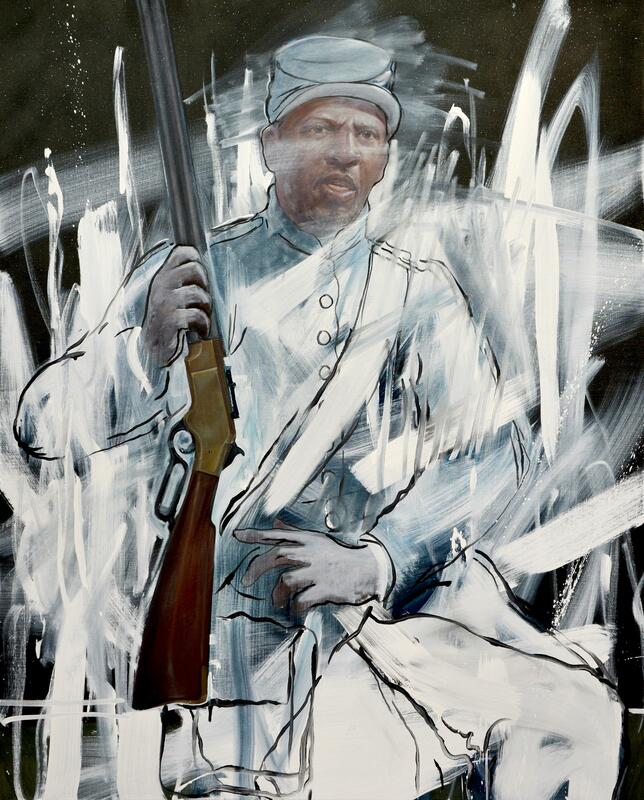 As we approach Martin Luther King Day, and Black History Month, you may want to explore the works of Titus Kaphar. Among his approaches, Kaphar takes familiar historical images and remakes them to confront the history of slavery and reveal the history of racism in The United States. “If we are not honest about our past, then we cannot have a clear direction towards our future,” Kaphar says in an interview. “Behind the Myth of Benevolence” depicts a black woman behind a rumpled canvas containing a portrait of Thomas Jefferson.